At around 6pm last December 31, JimFrancis Navarro said only “hi and goodbye” to his mother, brother and two sisters in their native home in Caloocan City. He was rushing to join his wife and two sons, aged 12 and 11, in Nueva Ecija for the New Year’s celebration. It was the first time the 38-year-old Jim skipped the New Year’s celebration with his original family. The Navarro family had no choice but to let him go. JimFrancis left on-board his Yamaha FZ150, a popular lightweight streetbike that he rode every day, everywhere. 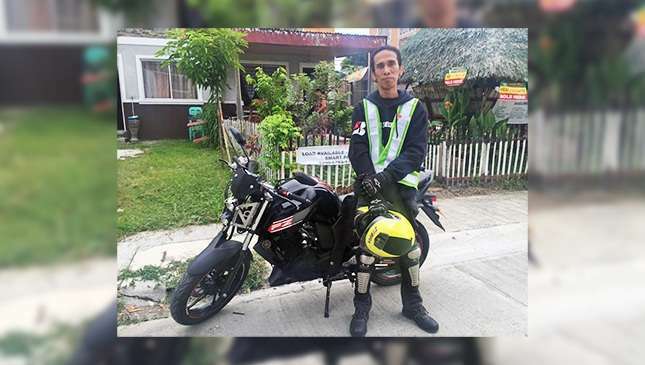 Two hours later, Jim's mother received a call from a police officer that her son figured in a motorcycle accident in a dimly lit stretch, somewhere in San Rafael, Bulacan. Totally stunned, it took the Navarros a few seconds before the information sunk in. It took successive bursts of firecrackers from the neighborhood to wake them up to reality—JimFrancis died after being hit by a speeding van. JimFrancis did not survive the crash even as he wore full riding protection. According to his younger sister, Jet Navarro-Hitosis, he never left the house without wearing his motorcycle safety gear. So conscious about riding safety, JimFrancis even gifted his younger brother, Jimpson, a helmet a few months ago, always reminding him of the importance of safety riding. He was never into drugs or liquor, Jet added. 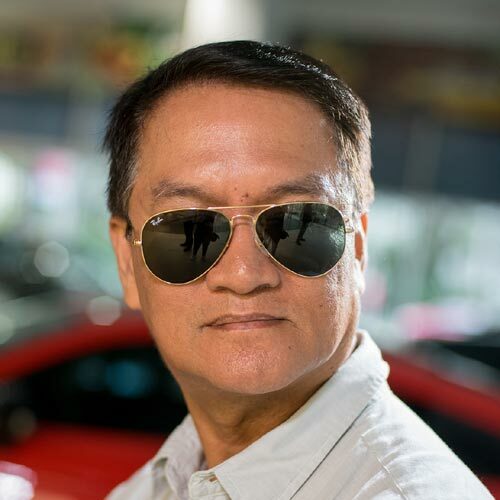 As JimFrancis grew older, he became addicted to Top Gear Philippines magazines. And upon learning that TGP has a dedicated section for motorcycles last September 2016, he felt elated. Soon after, he initiated efforts to contact me in a bid to set an eyeball. JimFrancis was so thankful for the Moto Sapiens section, saying that there's a lot of motorcycling issues that need media attention and he felt he can be of help. During our series of online chats, I sensed his deep passion for motorbikes. I wanted to meet him and his group, Yamaha FZ MAPA Group, for a common pursuit of road discipline and safety. JimFrancis is a simple, amicable guy. 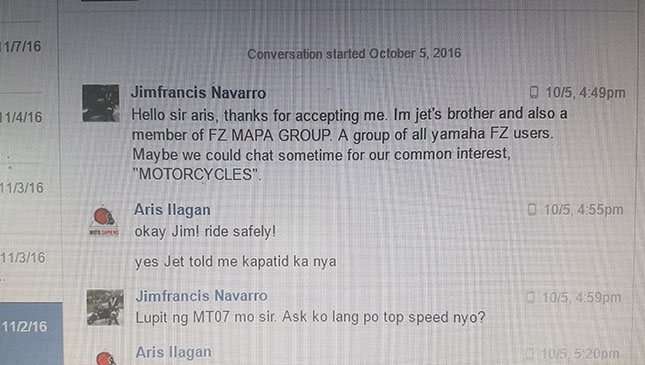 Coming from the ranks of ordinary riders, I believe JimFrancis can comfortably identify himself with the majority of motorcyclists and he could help deliver the message. 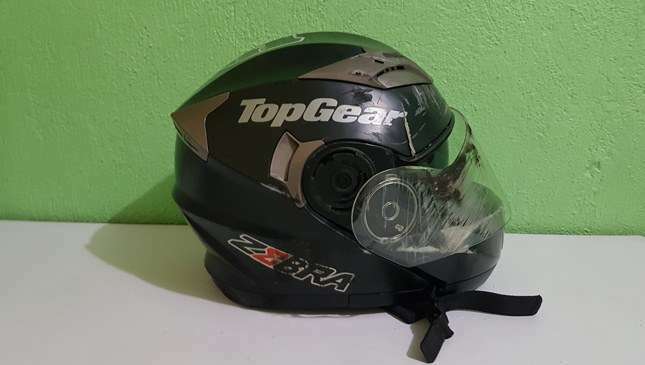 As a token of friendship, I sent JimFrancis a set of Top Gear PH stickers, which he placed on his helmet and on the tank of his FZ150. I also gifted him a Ducati Corsa water bottle because according to his sister, JimFrancis has been dreaming of Ducati and BMW bikes. However, in a moment when everyone was supposed to be joyful and celebrating the arrival of 2017, misfortune struck the Navarro family. JimFrancis is gone. 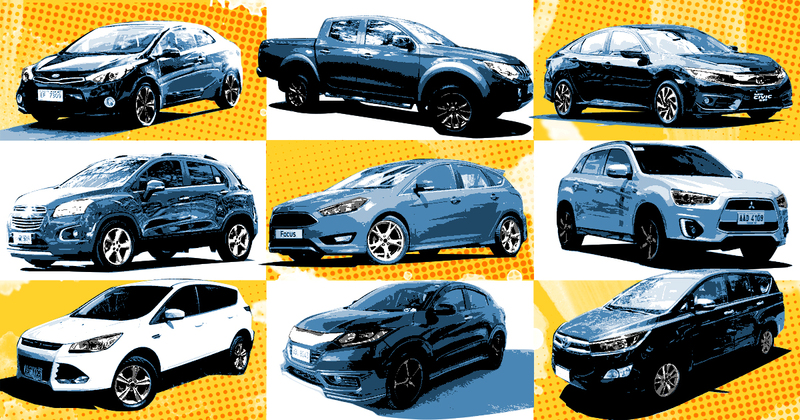 Last Sunday night, our eyeball materialized. But JimFrancis was not wearing full motorcycle gear, which is how I envisioned our first meeting would occur. My newfound friend was clad in a neatly-pressed barong tagalog as he laid inside a white coffin at the Father Gordon Chapel in Caloocan City. The Navarro family insisted on placing JimFrancis’ riding gear beside the coffin. These included his pants, jacket, knee and elbow pads, reflectorized vest, and helmet, all severely damaged by the strong impact. It’s a clear reminder for riders to put safety first. For JimFrancis, rest assured that your advocacy will continue. May your soul rest in peace, my friend.